In the last 24 hours, the bitcoin price has slightly recovered to $4,046, recording a minor 0.7 percent increase against the U.S. dollar. 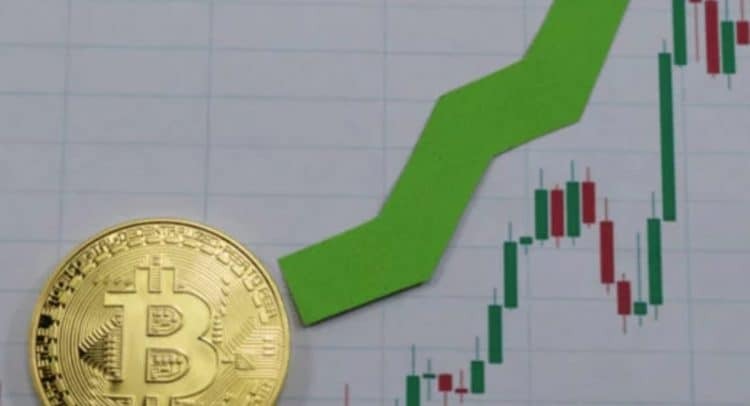 The positive upside movement of bitcoin led alternative cryptocurrencies to record gains in the range of 5 to 33 percent against both bitcoin and USD, as the valuation of the crypto market rebounded to $140 billion. 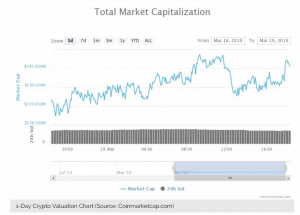 Despite the stability in the price of bitcoin in the past several months, the trading activity in the cryptocurrency market has noticeably increased as seen in the volume of major crypto assets. The cryptocurrency industry has continued to see companies move forward with the expansion of services and products, aggressively growing amidst a 15-month bear market. On Tuesday, for instance, Switzerland’s largest electronics retailer Digitec integrated bitcoin and crypto payments, a move that may fuel merchant adoption of cryptocurrencies in the region. In addition to direct investment in various crypto assets, Pompliano, better known to the cryptocurrency community as Pomp, said that investment firms will likely acquire blockchain or crypto-specific firms or hire experienced cryptocurrency investors. As these firms begin to enter the space, many of them will choose to either (1) spend ungodly amounts of money to hire talented & experienced crypto investors or (2) pay up to acquire asset management firms that specialize in blockchain and crypto. While the strategy is easy to identify, there may be a number of complexities. Hence, while traders remain cautiously optimistic in the short-term price trend of cryptocurrencies, the macro trend is considered to be more positive. On the technical side, Mayne, a cryptocurrency technical analyst, said that if bitcoin drops below $3,900, it can still be vulnerable to retesting the mid-$3,000 region. But, if bitcoin maintains its momentum and cleanly breaks out above key resistance levels including $4,300 and $4,600, a large number of traders expect the price of bitcoin to hold. “BTC and ETH both consolidating above key levels, as long as they hold I am still expecting $4,100 and $147 respectively. If we lose $3,900 and $136 I’d look to short. Currently flat on BTC and still holding 50% of my ETH long from $131,” he said. Earlier this week, it has been reported that Bithumb, the largest cryptocurrency exchange in South Korea alongside Bithumb, is set to reduce its labor force by 50 percent in the coming months to adjust to the change in market conditions. Voluntary retirement is part of our support program for former employees and is intended to provide assistance and training for job placement. Apart from that, [Bithumb’s] trading volume has decreased compared to the previous year, [so] we are trying to provide internal measures. We will continue to add necessary personnel for various new businesses. The volume of many cryptocurrency exchanges is said to have declined substantially since 2018, which is expected due to the decline in demand for crypto since the bull run of bitcoin in late 2017. But, it remains to be seen whether cryptocurrency exchanges will see an improvement in their volumes and operations as the cryptocurrency market reaches the final phase of its bear market.